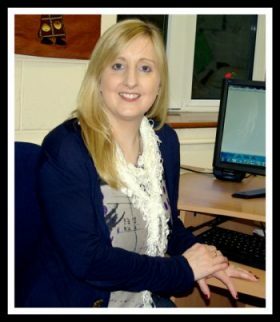 As Principal of Castlerea Community School, it is my pleasure to welcome you to our school website and we thank you for taking the time to visit. We hope to provide you with some useful information about our school and to give you an insight into the wealth of experiences we offer our students. Castlerea Community School was established in September 1993, following the amalgamation of the Convent of Mercy and the Vocational School, previously incorporating Mean Scoil Sheosamh. It is a co-educational and multi-denominational school, welcoming students from a wide catchment area around Castlerea. Offering the broadest range of practical and academic subjects in the area, we endeavor to provide each student with a curriculum which both challenges and inspires them to reach their individual potential. Here in Castlerea Community School, the student is not only critically important in the context of everything that goes on in the school: in our school, it is our aim that they actually know that they are important, that they feel valued and respected and leave here happy every evening. They are allowed to grow and mature in a safe, creative and holistic environment that is constantly changing to meet their needs. I am immensely proud of and impressed by the professionalism, commitment, dedication and teamwork of the staff to ensure an excellent education for all our students in a caring and supportive environment. Recently introduced structures such as formal Care Team collaboration and Academic Monitoring, in conjunction with an already well-established Tutor system enables us to promote an environment where the emotional, behavioural and educational needs of our students can be supported in a positive and reassuring way. We provide an extensive range of extra-curricular activities to suit all tastes and interests, from the areas of Sports, School tours, Competitions, Green Schools, Performance events, Exchange programmes, Active Citizenship, Quizzes, Bonding trips, Yoga and Debating to mention but a few. Wholesome participation is encouraged to ensure the well-being and happiness of each and every student in our school. Castlerea Community School is inclusive in every sense of the word, where the cultural, sporting, academic and other successes of all of our students and staff are proudly celebrated together. Our students have a very strong sense of pride in our school, which is demonstrated in their respectful and courteous behaviour towards others, both in school and outside and their willingness to advance and promote our school. Our school is truly a Community School, and I would like to acknowledge and thank all the members of the wider Community which makes our school a hub of learning – Local Businesses, who provide work experience, field trips and guest speakers, Parents and families, Students Council and the Board of Management for their continued support of the school. Together we will keep the strong tradition of excellent education alive in Castlerea. I hope you enjoy your visit to the website and should you wish to contact us, please find details at the top of the page.